If you are looking for a House for sale in Hua Hin North, this might be your chance! House for sale in Hua Hin North in Thailand! We make buying a house in Hua Hin Thailand easy and reliable for you! Property Realestate Hua Hin is an internationally experienced real estate professional. 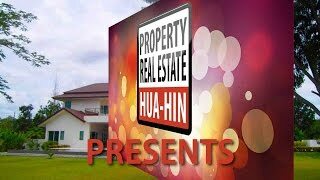 At Property Realestate Hua Hin we are dedicated to all people who are looking for a house for sale Hua Hin, villa, bungalow, condominium or land to build in Hua Hin, Cha-Am, the Pranburi District, but also for real estate property all over Thailand. We can support you in the sale- or buy process, leasing and rental of houses, villa’s, bungalows, condominiums and land. In Hua Hin, Cha-Am, the Pranburi District and real estate property all over Thailand. For sure we can also find you the right house for sale in Hua Hin. Our Dutch, British and Thai management guarantees the best support in different languages. All of Property Realestate Hua Hin staff speak fluent English and all off our Thai staff have business degrees. They are always happy to assist you. What they do is organize things like, renting out and manage your property; order taxis and other transport; airport pick-ups. But also help with insurance and visa; Work Permits; translations; tours, travel and golf events, Internet connections and satellite TV, swimming pool and garden maintenance, buying cars, motorcycles, furniture packages, shipping your furniture… and much more. Please ask for more details.